Traveling cat spotted in Ann Arbor, USA. 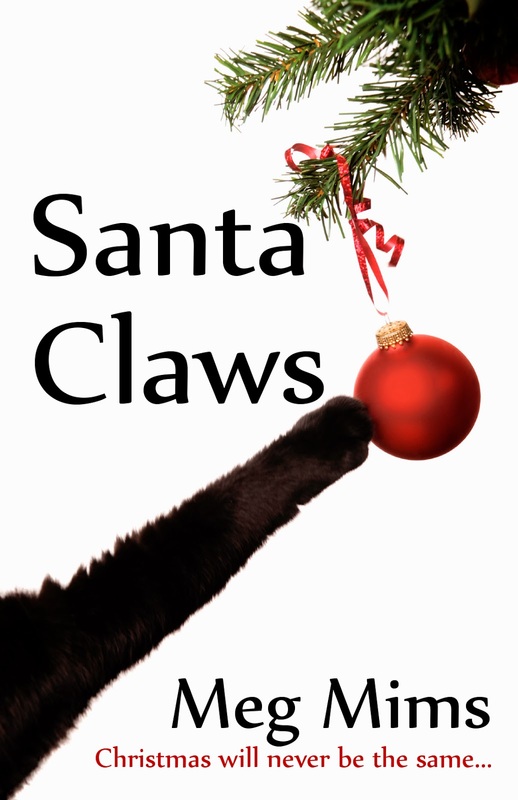 Submitted by: Meg Mims, author of SANTA CLAWS, a cute novella about a cat ruining its owner's Christmas. 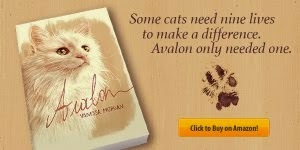 The story was inspired by her cat Toby who died of thyroid disease earlier this year. What an amazing turn-out and generosity on your blog hop! The concept is still kind of new to me, as we don't seem to have these in Sweden yet. 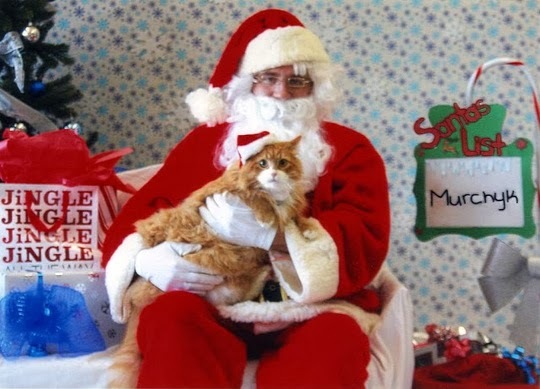 That is a great picture of Santa with a kitty. Ann Arbor! That kitty lives close to us! Christmas and cats - can't beat that. Love the pic of Santa and kitty. I'd love to have my cat wear a santa hat but when I tried it didn't go well LOL. Congrats and best wishes to Meg! Cats and books, two of my favourites. Entered and Pinned! Thanks for sharing on the Pet Parade! Thanks so much for this giveaway. I'm typing over a cat right now! 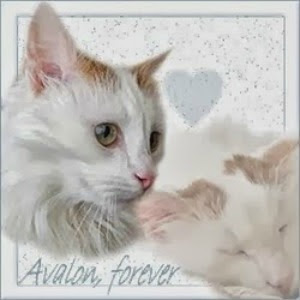 Love your blog, if you take a peek over at my blog and scroll down a bit, you will see my cat looks just like yours! !